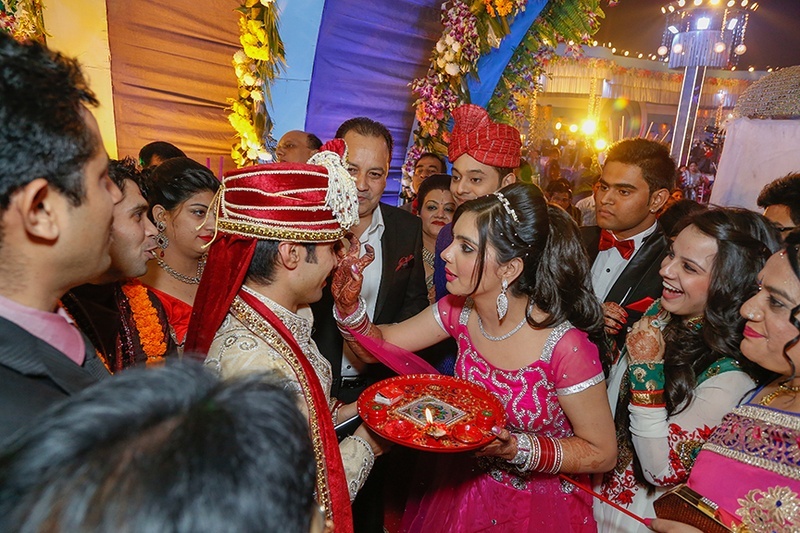 Ankit and Mehak’s wedding was a perfect blend of high energy, beautiful décor and traditional rituals and ceremonies. 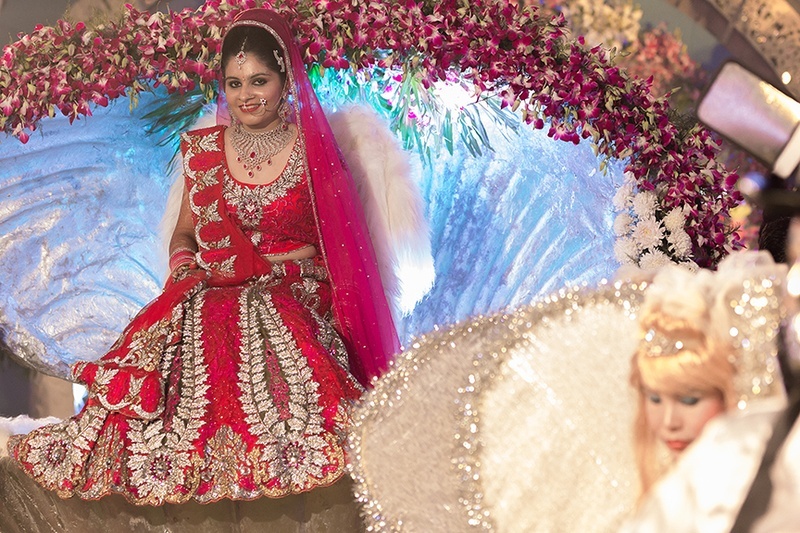 Sitting in an oyster shell, decorated with orchid flowers on the edges, Mehak arrived at the wedding venue looking like a Sea Princess. 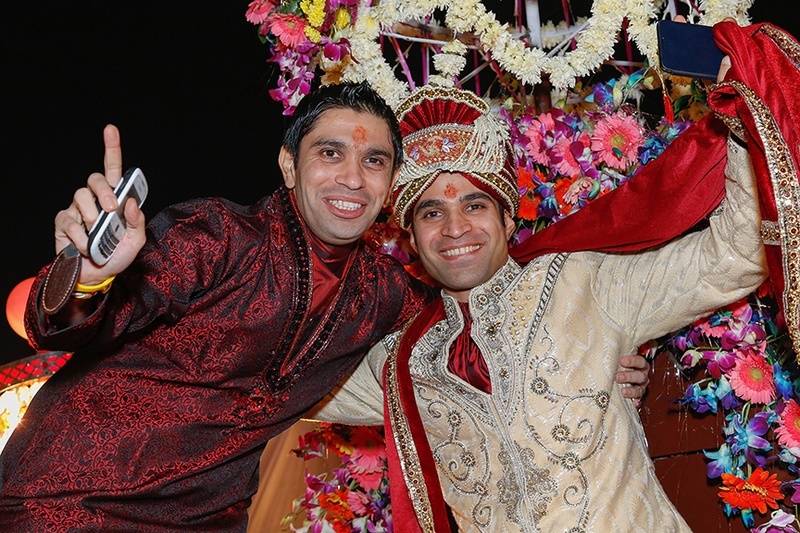 Ankit, on the other hand made a remarkable entry on a florally decorated horse carriage. 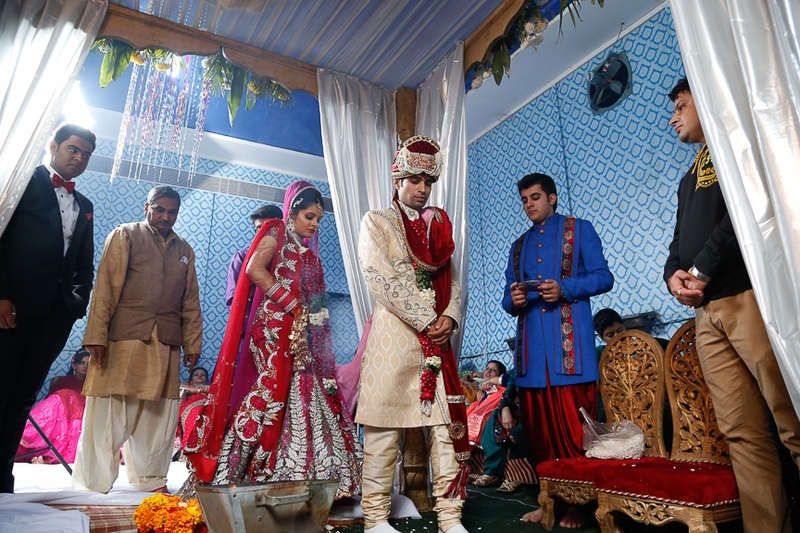 Dressed in a textured cream sherwani with a wonderful wedding safa on, Ankit was ready to make Mehak his bride! 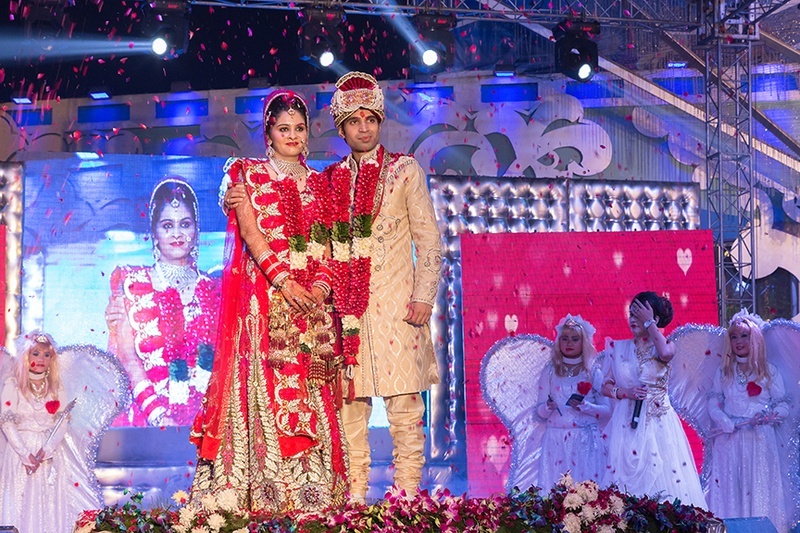 Mehak wore a ravishing red wedding lehenga, which was heavily embellished with white and red crystals, and looked absolutely stunning. 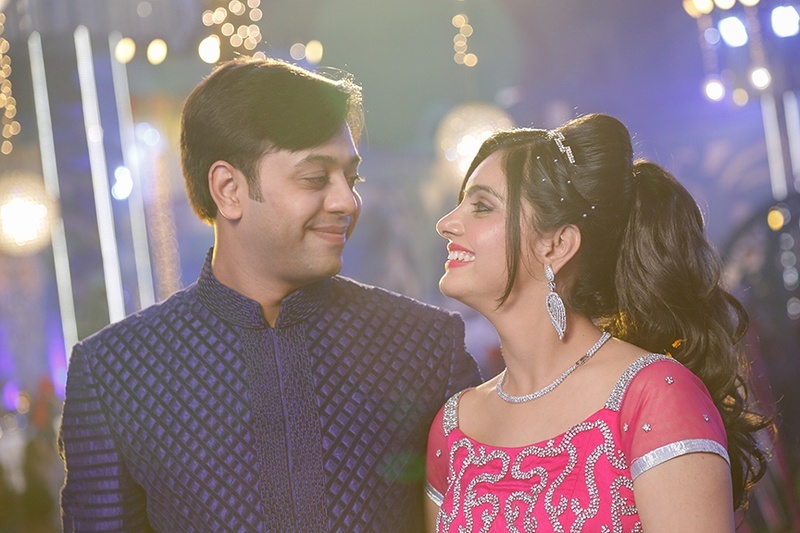 She accessorized her look with a classy diamond and ruby studded choker, fabulous earrings, matching maang tika and a delicate nath - This striking couple took their saat pheras in a wedding mandap that was decorated with white drapes. Creating a concert-like feel was the wedding stage that was set up exclusively for the musical themed reception. 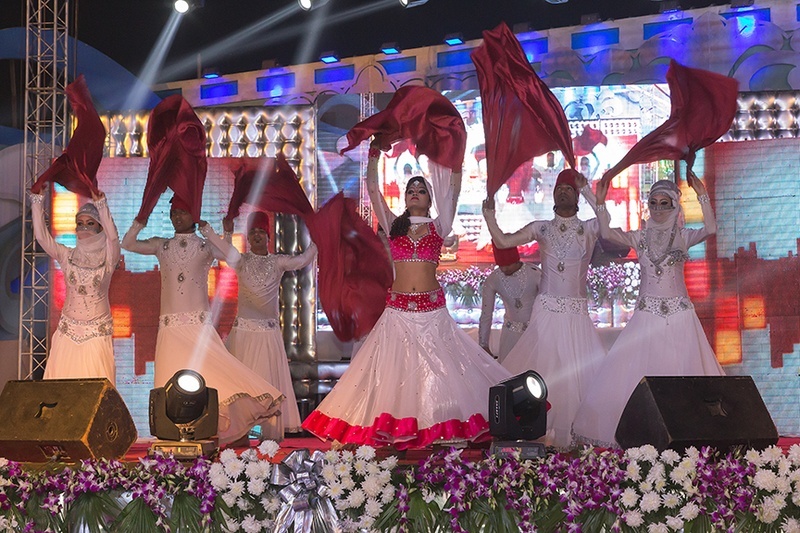 The wedding performers entertained the guests with their flawless dance moves, dressed in Sufi attires, with female dancers wearing a hijab and the male dancers, red hats. These top-notch performances and the couple’s love that spilled through every gesture and mannerism, made this a night no one would ever forget. 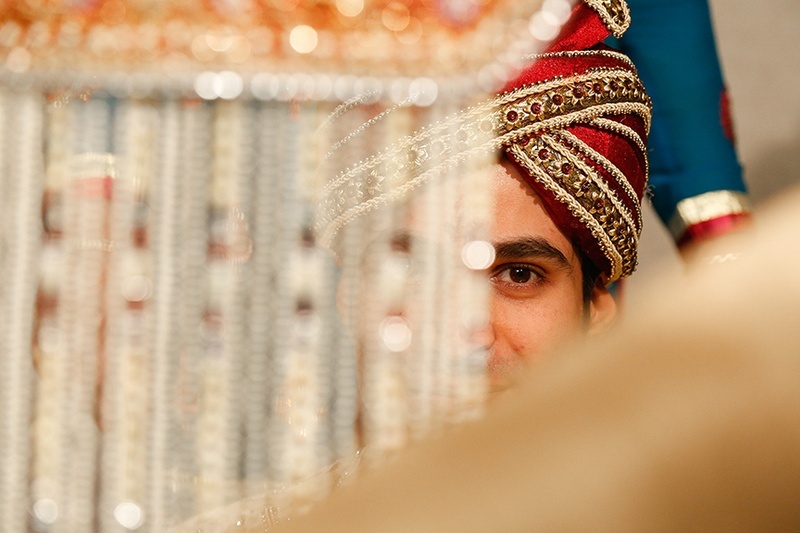 Each and every moment from their wedding day was captured by Candid Klicks. 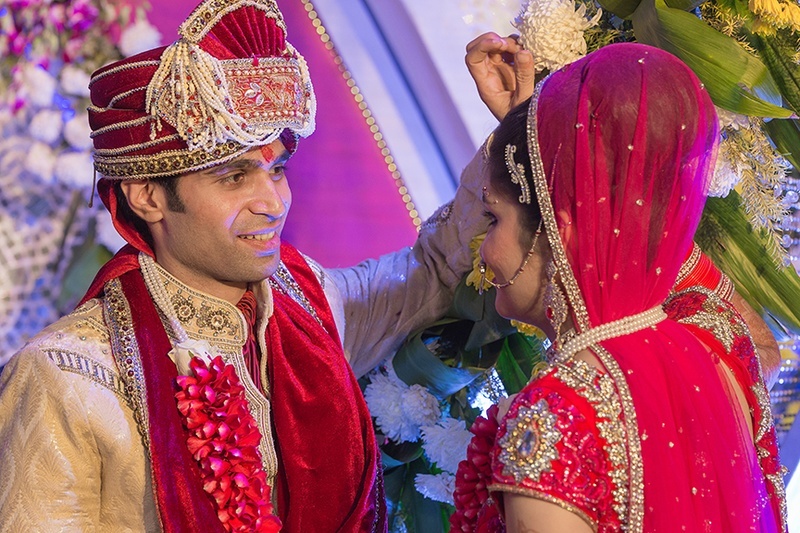 Let’s have a look at how this grand wedding ceremony unfolded!